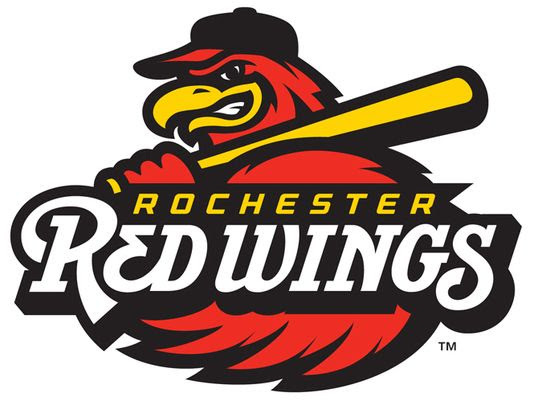 The Rochester Red Wings return for their 23rd season of baseball at Frontier Field on Thursday, April 11! The seven-game home slate includes a Wings/Plates reversible winter hat giveaway, Austism Awareness Day, Bark in the Park and $1 Wednesday. RED WINGS/PLATES REVERSIBLE WINTER HAT GIVEAWAY: The first 1,500 fans will receive a reversible Red Wings/Plates winter hat courtesy of Dunkin'. 2019 MAGNET SCHEDULE GIVEAWAY: Know where the Wings are all season long with the Red Wings magnet schedule presented by the Democrat & Chronicle. 51 DEGREE GUARANTEE: If the temperature doesn't reach 51 degrees during the game, all fans holding an Opening Night ticket get a FREE ticket to another game in April or May. Full 51 Degree Guarantee details here. - A Safe Zone located in Club 3000 will be open all game long for children in need of a quiet reprieve from the game. - Designated Autism Aware Section, reserved exclusively for guests with family members on the Autism spectrum. To purchase discounted tickets in an exclusive Autism Aware Section contact: Mike Ewing at (585) 454-1001 ext. 3036 or MEwing@RedWingsBaseball.com. BARK IN THE PARK: Bring your four-legged friends to the ballpark courtesy of Invisible Fence! Dogs are FREE while humans will need to purchase $9 GA tickets. Approximately 30 minutes prior to each Bark in the Park game, dogs and their owners will be able to walk the warning track on the field. MORE INFO ON OUR BARK IN THE PARKS CAN BE FOUND HERE. KIDS RUN THE BASES: After every Sunday home game kids 12 and under can run the bases with Spikes and Mittsy courtesy of the Burger Bar at Wegmans Pittsford. KNOT HOLE GANG KIDS CLUB DAY: Join the best kids club in baseball presented by Excellus BlueCross BlueShield and Messenger Post Media! For just $25 your child will receive 5 tickets good for any Sunday game during the '19 season, a members-only t-shirt, membership card and lanyard, opportunities for cool VIP experiences like throwing out the ceremonial first pitch and being a guest PA announcer for an inning and much, much more! MORE INFO ON OUR KIDS CLUB CAN BE FOUND HERE. KIDS EAT FREE! : The first 500 kids 12 & under will receive a voucher good for a FREE hot dog, soda and snack item thanks to our friends at Basch & Nickerson LLP and Messenger Post Media. FAN 4-PACK: Get 4 reserved tickets, 4 hot dogs, 4 sodas and a yearbook for just $44 ($48 day of game) presented by M&T Bank and Messenger Post Media.